Manuscript submissions should be done at ercvet@gmail.com. 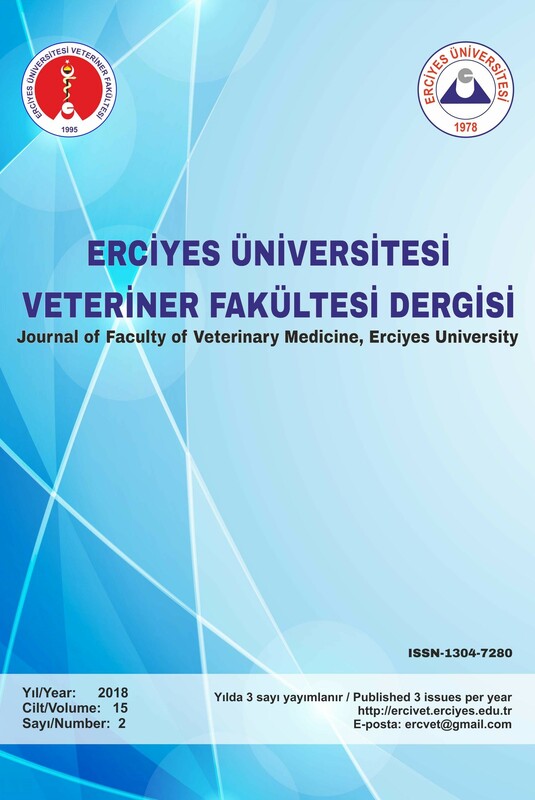 Erciyes Universitesi Veteriner Fakültesi Dergisi is an open access journal and does not have article processing charges (APCs) and publication fees. Manuscripts submitted to the journal by the corresponding author should not be published elsewhere or submitted to any other similar media for consideration. The corresponding author should send the related documents together with the “Copyright Transfer Form” to the journal via e-mail address (ercvet@gmail.com). Copyright Transfer Form must be signed by all authors. Authors are required to check their articles against the plagiarism with the iThenticate Plagiarism Detection software available for personal/institutional use. The similarity index of the resources section is to be less than 20%. The manuscript presented to the journal is taken into consideration by the Journal Secretariat in terms of writing style, content and scope. An article that does not have the quality to be published in the journal can be returned to the author. All manuscripts are evaluated through a rigorous double-blind peer-review process by assigned reviewers which may take a maximum of three weeks. The articles are also evaluated by the English language and biostatistics referee. After the evaluation, the articles which appeared not suitable for publication will be rejected. The manuscripts which are requested to be corrected according to the opinions of the reviewers are forwarded to the author with the necessary documents. The author(s) should respond to all the comments and concerns raised by the reviewers and submit the corrections as soon as possible (maximum 15 days) to the journal e-mail address. The editorial board submits its final decision and sends it to the publishing unit. Manuscripts which are accepted for publication will be sent to the corresponding author for the proofreading. All responsibility of the published articles belongs to the author(s).